If you are new to the world of RVs, you might be feeling a little overwhelmed. RVs fall into one of two broad categories: trailers or motorhomes. Motorhomes are pricier, and generally require more expertise. Trailers tend to be less expensive and are usually easier to handle. The simplest type is a camper trailer. For the most positive experience, this is what I recommend if you are shopping for your first RV. These lightweight units are the optimal choice for those of you who want to adopt the RV lifestyle as your own. Camper trailers are less expensive to buy than other RV types. They are also easier on the pocket to use over time. As I mentioned, camper trailers fall towards the lower end of the price range. You can expect to shell out between $4,000 and $13,000 US dollars for a camper trailer. There are models that go well beyond this range, and some secondhand camper prices fall below it. This is still a considerable sum of money—but less than you would pay for other types of trailer or motorhome. 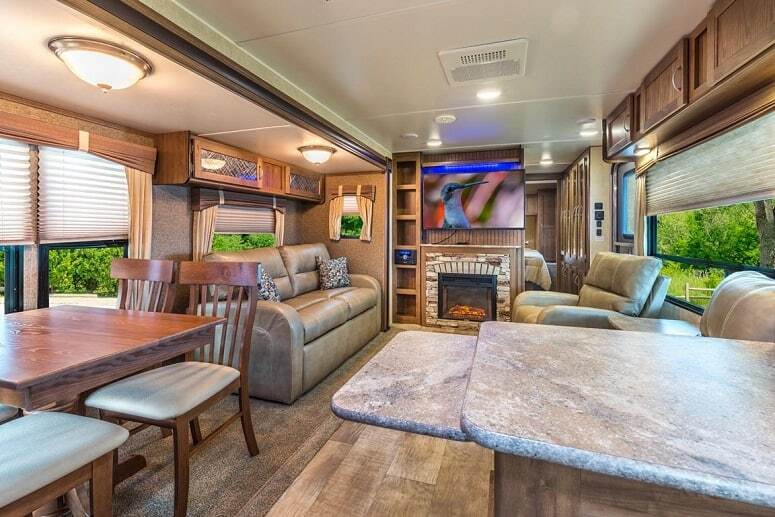 It’s less of a financial commitment if you are just starting out on the RV lifestyle and want to make sure it’s for you. Camper trailers will also save you money on gas, where larger motorhomes can be gas guzzlers. The typical motorhome can burn through a gallon of gas every eight to 10 miles. Compare that to the average car or small truck, which is all you need to tow a camper trailer. One gallon can last for 11 to 50 miles, depending on the model. However, expect your fuel consumption to rise when towing — the bigger the trailer, the more fuel you will use. Insurance is an essential part of RV ownership. You want to protect yourself and your RV in the event of an accident. There are a lot of different factors that influence how much your insurance will cost. The make and model of your RV are two big ones. A camper trailer will always be less expensive to insure than a motorhome or one of the larger types of trailers. One of the alluring aspects of RV ownership is freedom: the open road is at your disposal. Unfortunately, motorhomes and larger trailers come with a few restrictions that can interfere with your adventure. Due to their smaller size and lighter weight, you are less likely to encounter these obstacles with a camper trailer. For example, it is common to encounter low clearance overpasses. 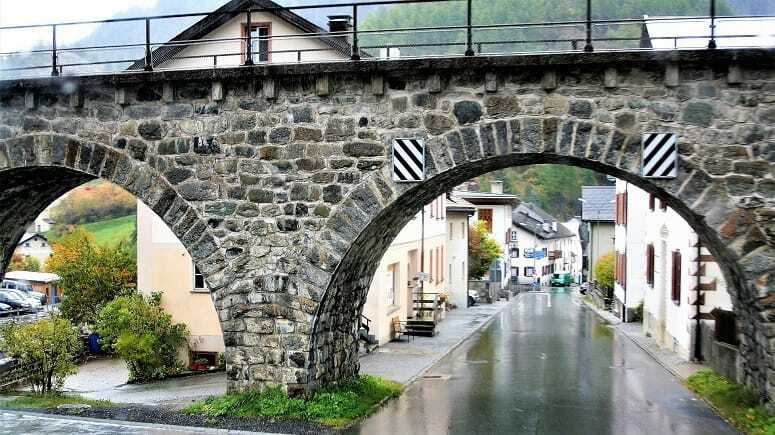 You may also come across bridges with specific weight limits. Additionally, different states have their own height limits in place . A GPS can sometimes advise you on roads that cannot be driven on by larger motorhomes or heavy trailers. But navigation systems are not always 100 percent accurate. You might still come across places that these larger vehicles cannot access. This can lead to frustrating and lengthy detours. Camper trailers are generally compact enough not to cause trouble—if your vehicle can pass, your trailer can too. The size and length of your RV can also result in restrictions when you are looking for somewhere to camp out. An enormous RV might not be suitable for certain national parks and campgrounds. For example, most parks in California have length restrictions on RVs, some as small as 18 feet. You can find a whole range of camper trailers that are less than 20 feet long. As a new RV owner, one of the biggest hurdles you will have to overcome is learning how to handle it. This can be fairly simple, or extremely challenging, depending on the RV you choose and your driving ability. Camper trailers can be towed by almost any vehicle—sedans, SUVs, trucks, etc. This means that you can use the car that you already own. All you will need to practice is getting comfortable towing the trailer. Motorhomes may make life on the road great with all their extra conveniences, but they are more difficult to handle. Unless you have experience handling buses or trucks, you will probably have a lot to get used to.Everything from turning to parking will have to be re-learned. Even braking and accelerating is not the same as with a standard vehicle. The same is true for large travel trailers: practice and patience are necessary. 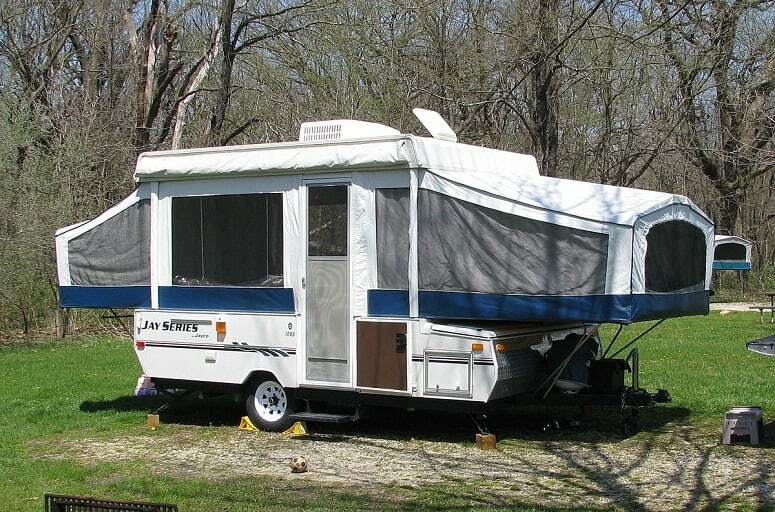 Camper trailers, however, are generally on the smaller end of the spectrum. There is still going to be a period of adjustment, but the learning curve is less steep. Since you are already familiar with your car, you just have to get used to the addition of the trailer. A camper trailer can also be a gentle introduction to handling RVs. For drivers that might be intimidated by the bigger models, becoming accustomed to a camper trailer can help boost confidence. Camper trailers may not have all the fancy amenities of big motorhomes, but they do have multiple advantages. Moving around with your RV is only a part of owning it. There are other aspects of ownership that are also more convenient with a camper trailer. Since camper trailers are smaller than other types of RVs, this allows for easier parking. There are fewer blind spots to deal with when you are towing a smaller trailer or fifth wheel trailer. You can also fit your trailer into smaller spaces, which larger RVs would never fit into. At some point, the adventure has to come to an end. When your RV is not in use, it has to be stored somewhere safe and legal. Many neighborhood homeowner associations have prohibitions against parking big RVs in driveways or on the street in front of your home. A camper trailer is more likely to fit in your garage, and might possibly be allowed in your driveway. If your RV serves as your home as well as your mode of transport, things can get tricky. You might set up camp, only to have to pack up again to head to the grocery store. With camper trailers, you retain your independence. Set up camp, unhook the trailer, and take your vehicle out wherever you desire! Participating in activities and touring the area is hassle-free. As we have seen, camper trailers incur less expense and are easier to maneuver than larger RVs. They also have fewer maintenance requirements. This translates to less of a headache for you. First of all, camper trailers do not have engines. This feature alone will save you a lot of time and money. There is no need to hassle with motor oil, or transmission wear and tear. You won’t have to worry about the battery going dead if it is in storage for months. Next, bigger RVs—particularly motorhomes—have more complex systems, such as electricity, water and even full kitchens. If the built-in fridge breaks down or the utilities stop working, it usually necessitates a trip to the repairman. Camper trailers do require some level of maintenance, but not as much. This is less stressful for a beginner, and is also an ideal learning opportunity. You can get as familiar as possible with maintaining your camper before moving up to an RV. You might still be thinking that larger is better. There is no doubt that traveling with an RV can be a more luxurious experience than conventional camping. An RV offers comforts that camper trailers can’t begin to compare with. Still, one of the downsides of many RVs is that you are limited to campsites. You can’t just drive your motorhome into the wilderness or onto the beach. Some are not equipped to go off road, meaning you could end up getting stuck. Some of the camper trailers on the market, however, are equipped with off-road features. The only requirement is that your vehicle itself is capable of going off-road too—e.g. a 4WD or truck. The off-road experience can be as intense as you want, depending on the model of camper. Some can survive trips over everything from muddy roads to shallow rivers. With the right camper trailer you can enjoy the best of both worlds. Your options are, essentially, limitless! Your camper can be set up off road under the stars, or in any standard campsite you choose to visit. As you are thinking about camper trailers, you might find yourself concerned about space. Where are you, your family, and your possessions supposed to fit? Will there be enough room for all of us to sleep? Can we fit comfortably inside when it’s raining out? Will we be able to bring along our favorite appliances? Not to worry, there can be space for it all. Camper trailers come in a variety of sizes to meet many different needs. Some can hold up to eight people, including room to sit or to sleep. That sounds like a decent capacity to me! Not everyone will need that much space. Solo travelers and smaller families can also explore compact campers designed to hold just one or two people. A camper trailer does not mean you will be giving up basic RV comforts. The majority of models available today come with most of the necessities. This means you will have a kitchen, a sleeping area, and even a dining area. One of the best things about camper trailers is that you are far from limited. There are so many different models on the market, so any beginner can find one that suits them. I’ve already discussed off-road versions. Here are two other common options to consider. 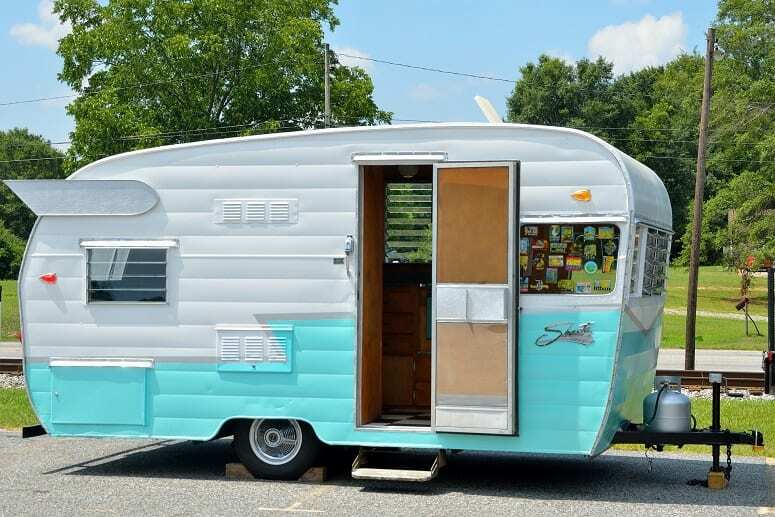 Teardrop camper trailers are retro-designed. These little trailers, shaped like teardrops, originate from the 1930s. They are sturdy but compact, and are ideal for solo travelers or couples. One of the big advantages of these campers is vehicle compatibility. A sedan can tow a teardrop trailer just as well as a truck. You can purchase a newer model or a genuine vintage one. Keep in mind that older teardrop trailers may require more maintenance than new ones. Pop-up camper trailers are exactly what they sound like. These campers fold up for easy towing, and pop open when you are ready to set up camp. This type of camper has the advantage of portability. They tend to be easier to tow and handle than larger camper trailers. You will likely be able to fit your pop-up camper in your garage when it is not in use. 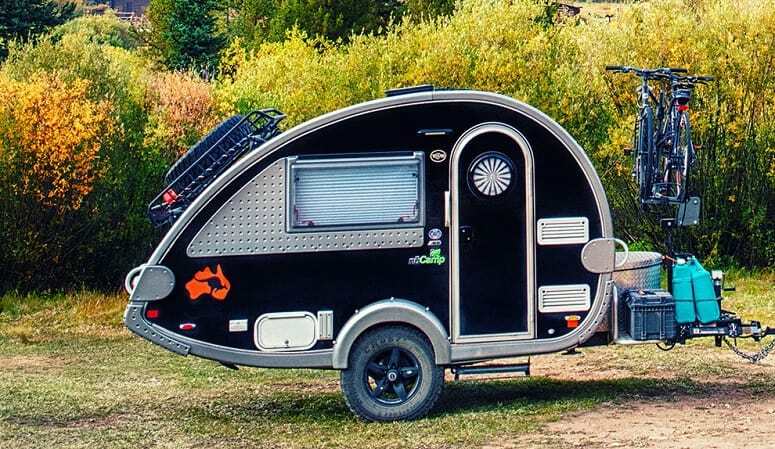 As with teardrop trailers, nearly any type of car can tow a pop-up camper. 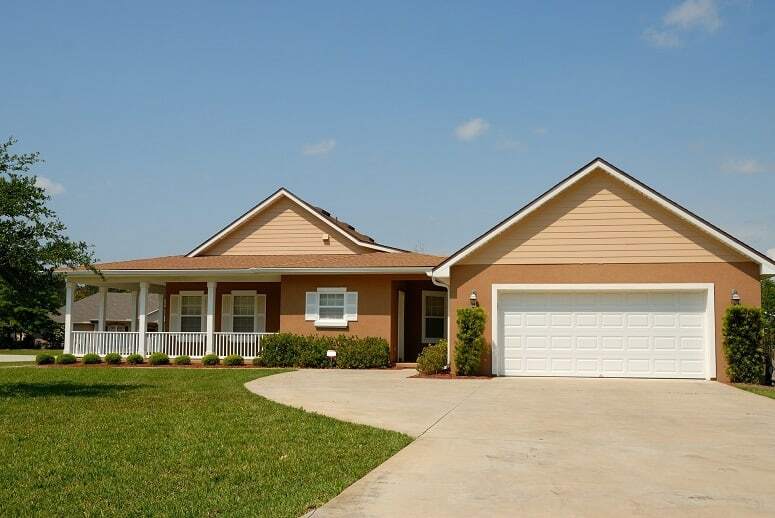 You can choose rudimentary models or larger, top of the line ones with more features. I hope that you enjoyed learning why a camper trailer might be a great first RV. Even the most experienced RV owner was once a beginner, just like you. I know I would have appreciated a little more guidance when I bought my first RV. Camper trailers are a great way to try out the RV lifestyle and see if it suits you. This is especially true if you don’t have a huge amount of money to spend. Do you think a camper trailer would be right for you? Share your thoughts and experiences in the comments! If this article helped you on your journey to RV ownership, share to help others!